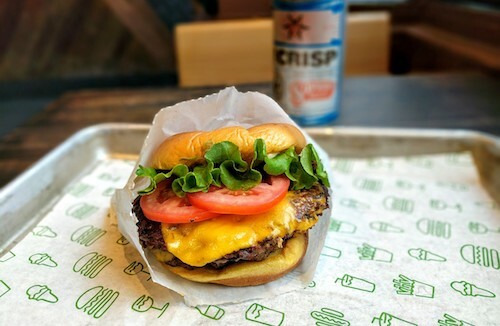 For me, Shake Shack is all about the burger. 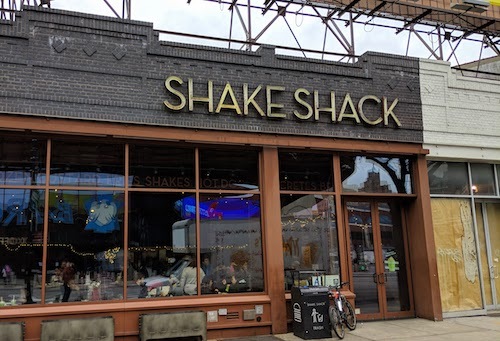 Ok, yes I get a shake too. And fries. And sometimes beer. But the burger here is definitely the best. 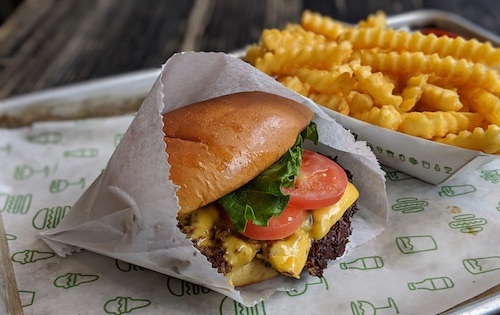 The single is not the kind of massive American artery-clogger, it's more of a sanity-sized light lunch, if that is possible in the world of burgers. 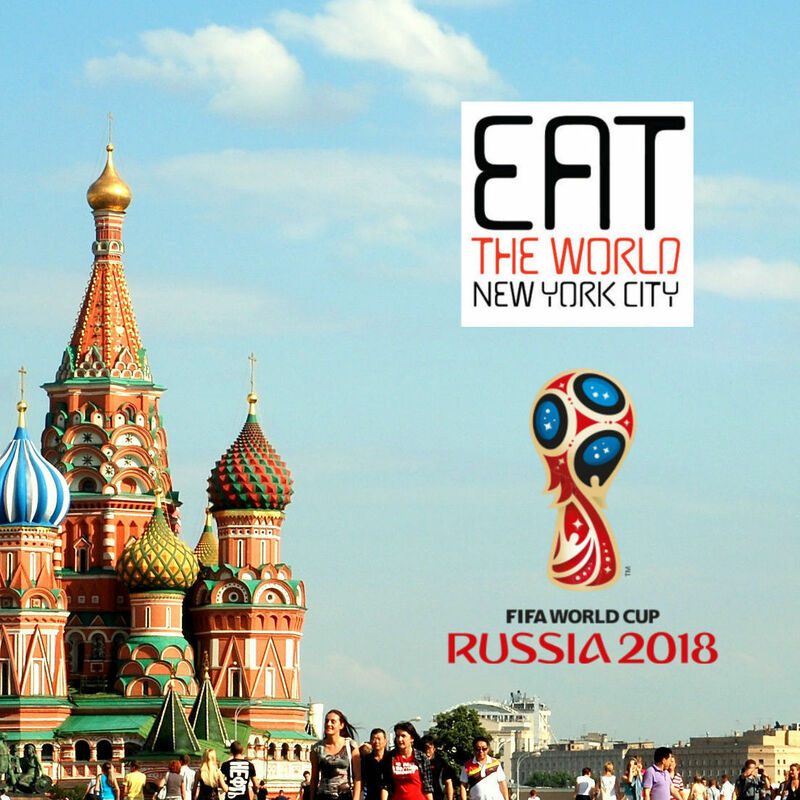 They offer a response to their long lines right on their menu: "There are no shortcuts to quality." While this might be a lofty expression for a simple place, I'll buy it. The line goes fast enough that it is nothing to be too concerned about anyways. Come after 3pm and you will basically go right to the window. The Brooklyn location has a shorter line then the nearby Wendy's. Even on a freezing day, people will wait. The shack burger ($5.79, below) is gooey and moist, the consistency of raw meat somehow even though only available ordered at medium. It is definitely cooked through, but bursting with juice and flavor. The shack sauce is nothing extraordinary, but the lettuce and tomato are always very fresh. My main (and only) complaint about the burger is the boring bun, the sweetened version you might buy an 8-pack in the grocery store for 99 cents. The krinkle cut fries ($3.09, above) are by any measure standard, and heavily salted. They don't need ketchup though, and that is a good enough sign. While the place does serve beer and allows drinking in the park, this is only good during warm weather. They do make fresh lemonade that is excellent, although ask for it with little or no ice or you will be drinking mostly frozen water. The taste is very sour and sharp, not very sweetened, and perfect for summer or winter. 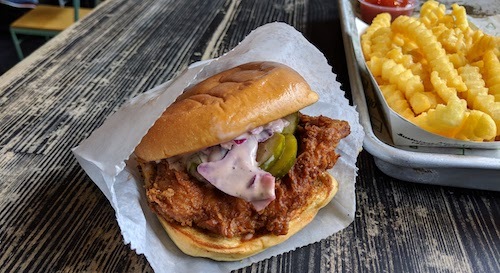 Sometimes they put on promotions to try out new items like the hot chicken sandwich ($7.09, below). These are generally underwhelming compared to the burgers.